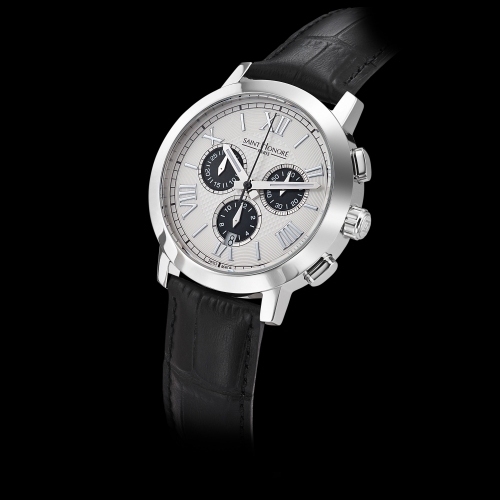 The new Trocadéro Chronograph is a brilliant combination of form and function. Refined elegance, authentic classicism and subtle sportiness are the watchwords that inspired the design of this Swiss Made timepiece named after the famous district in Paris overlooking the Seine and the Eiffel Tower. Framed in an elegant round case in stainless steel, 41 millimetres diameter, the silver-finish dial has been meticulously crafted with “Clous de Paris” detailing in the centre and the striated decoration around the rim setting off the Roman numerals. 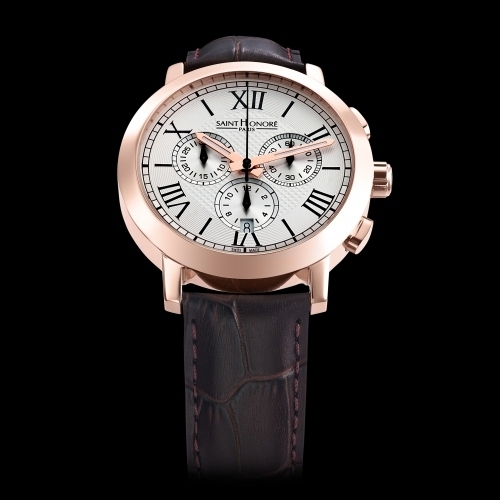 Mounted on a brown crocodile-effect leather strap with folding clasp, the Trocadéro Chronograph is a natural beauty. It is available in steel, pink gold or black PVD on a leather strap of metal bracelet.